James Ross became a member of the Chicago Symphony in 1979 and since that time he has performed thousands of concerts with the orchestra, both at its home in Symphony Center and in literally every corner of the globe. In addition, he has been a soloist with the CSO and has also frequently participated in the orchestra’s various chamber and new music ensembles. Jim is a longtime and devoted teacher, having given clinics and masterclasses at the Percussive Arts Society International Convention as well as colleges and conservatories throughout the United States and abroad. 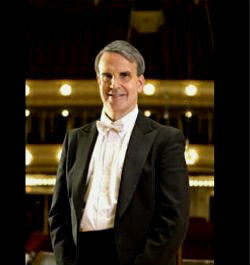 He is a coach for the Chicago Civic Orchestra and is on the percussion faculty at the Eastman School of Music.